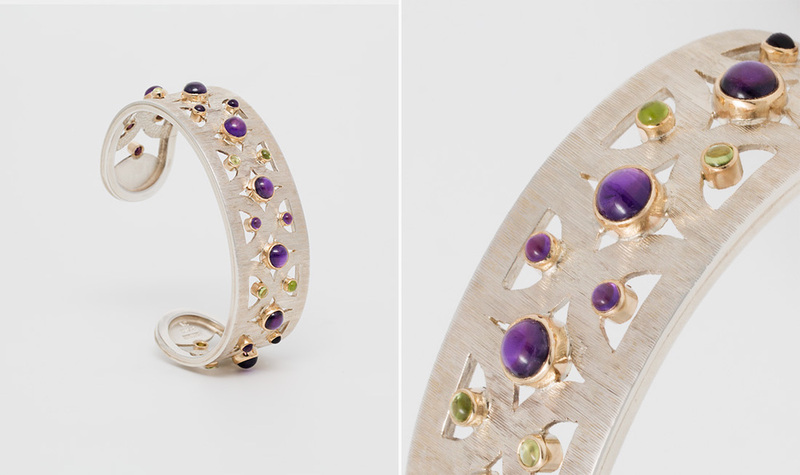 Silver and gold trellis bangle with florentine engraving set with amethyst and peridots. 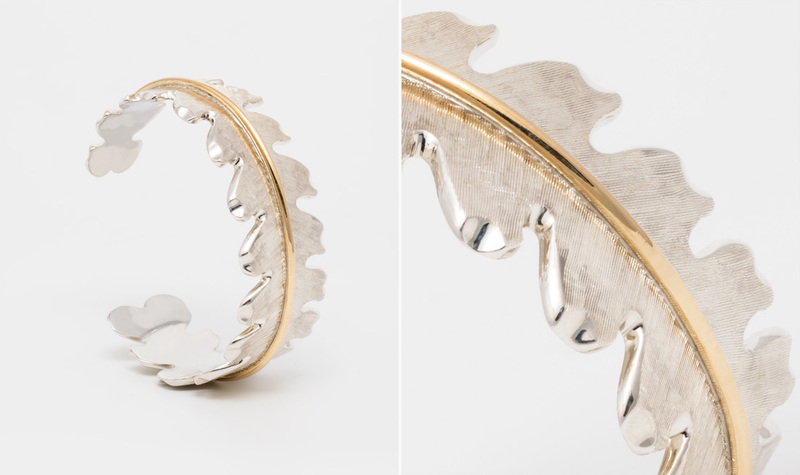 A florentine engraved silver bangle with a single vein of yellow gold running down the centre. 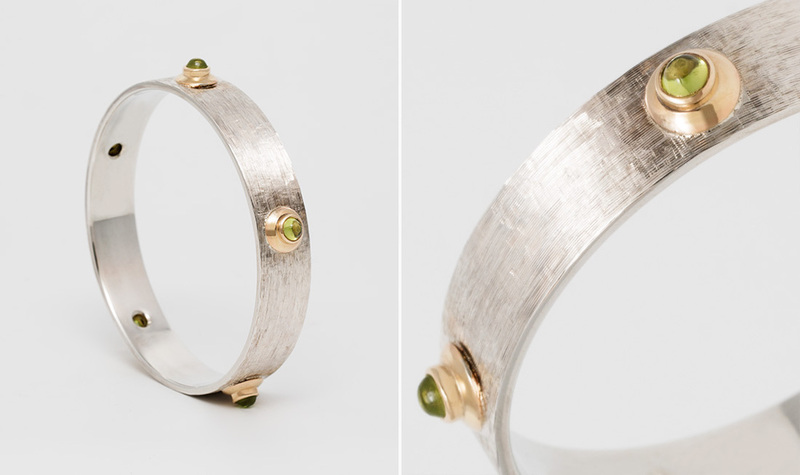 Silver and gold bangle set with peridots. Silver bangle with applied gold flowers. Twisted silver bangle set with gold finials and amethyst. Twisted silver bangle with amethyst set in gold claws.